Excited for you to meet my friend Keri Lee Robbins this week as she shares a two-part series on tending our “friendship plants” with wisdom from God’s word. Keri Lee and I met a few years ago through Twitter as we were traveling to attend the same conference. 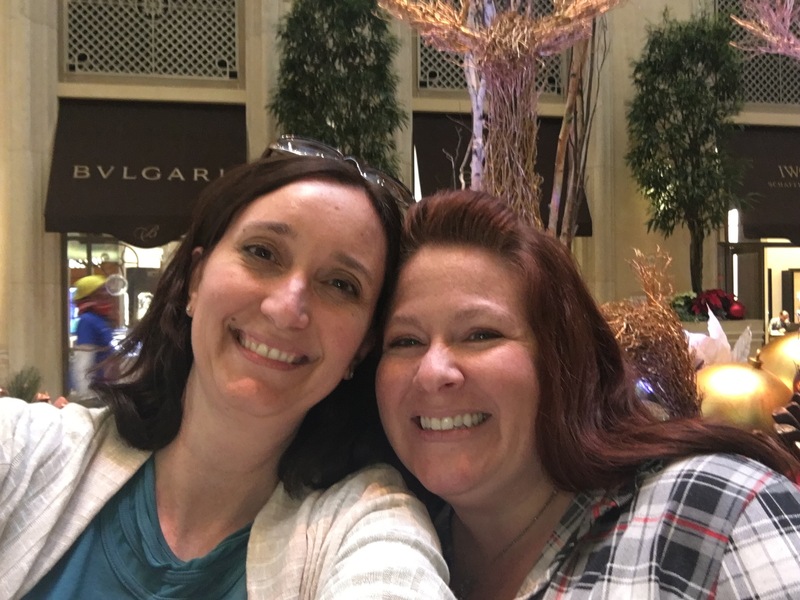 My Las Vegas buddy is a gentle yet passionate advocate for foster care and adoption as well as for those with disabilities. So glad to call her my friend. Enjoy! I do not have a green thumb at all. It’s quite black. Like midnight black. Generally speaking, giving me a plant is sentencing it to death. It’s a sad reality that I have come to accept. The people I love know that I do enjoy flowers though, so recently I was given 2 flowering plants. On Mother’s Day, my Mom gave me an orchid. An orchid. One of the hardest plants to keep alive in the history of plants. It had five very pretty little flowers on it. I was immediately enamored and terrified. Then, my sweet friend Cindy brought me a flowering succulent with lovely coral flowers. Both plants came with little cards detailing how to care for them, and I studied them cautiously. They only needed water once a week with good drainage, medium sunlight, and needed to be transplanted when they got larger. There was, however, nothing on the cards to prepare me for what would occur within a few days. The flowers began to brown and fall off. I felt the sting of guilt as each proof of my failure fell. I worried about them for several days, rereading the cards each day while sweeping more tiny blossoms into the trash until finally none remained. There was nothing to do but throw away the evidence of my black thumbs but I felt bad about doing it as the leaves were still green on both plants. I wasn’t sure what to do. Thankfully, I was rescued by my cousin, Mike, who has multiple green thumbs and horticulture wisdom to spare. He explained that both orchids and succulents lose their flowers regularly and survive! For someone whose knowledge of plants consists only of ensuring I add the little packet to the water with my anniversary roses, this was life altering news! My plants still lived even without their lovely blossoms, and they still needed to be cared for. So, I have continued to follow the instructions on the cards and given by my cousin. So far there have been no more flowers but I have hope they will return if I keep doing what I am told. Even though right now the stems that previously held the tiny flowers have turned black on the orchid, the leaves are strong and a healthy green promise of future growth. It occurred to me that this is similar to how I view friendships. We have various friends throughout our lives, and they are a lovely part of each season. We make friends in high school who have similar tastes in music and boys. We make friends in college who are taking similar courses of study. As singles, we congregate with women in similar jobs or hobbies. We find friends who are newlyweds just like us. Young moms seem to run in packs; helping each other through breastfeeding, playdates, and babysitting crises. As our children age and their activities change we find ourselves befriending other moms whose children join ours on the soccer field or ballet stage. As Christians, we also find many of our friends in church. Women’s Bible study is a treasure trove of women who are also intentionally seeking God. Sometimes we are lucky and a few friends follow us through multiple seasons. Other times friendships drift apart as our lives alter. Each time a transition occurs affecting a relationship there can be feelings of loss and failure. There is an awkward phase where we wonder if the wilted friendship has a chance or if will we have to watch it fall and fade away. Just like the directions on my houseplants and Mike’s horticultural wisdom, these words function like our little instruction cards to keep our “friendship plants” healthy. Are our leaves green? Do we treat our friends well or are we controlling and spreading gossip? Do we stir up conflict or are we peacemakers? Are we holding grudges or offering forgiveness? I am reminded of Proverbs such as “a man who has friends must himself be friendly” (Prov. 18:24a). We can also turn to Matthew 18 where Jesus tells us to forgive seventy times seven times but also gives the steps for godly confrontation that promotes reconciliation. Our first priorities when maintaining friendship, then, should be forgiveness and peace. However, even when we do all we can to tend to our friendships, as carefully as we would an orchid, sometimes God has other plans for those relationships. Next week, we will talk about when and how to move on from friendships that have ended and grow new relationships.